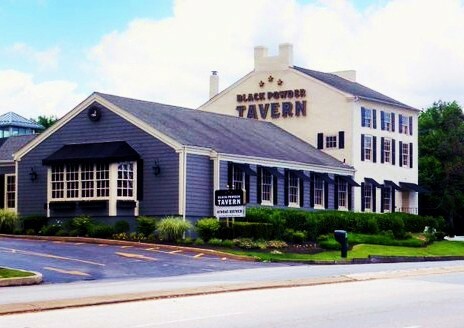 Located in Wayne, PA and just miles from Valley Forge and built in 1746, The Black Powder Tavern has quite an interesting history. People journeying, as well as adventuring westward, via stagecoach, would often stop here for both food and rest. George Washington and Marquis De Lafayette met here to discuss Revolutionary War strategies, along with their soldiers who were tired, cold and hungry. It’s said that this was also a storage facility for the Continental Armie’s black powder ammunition, thus the name. 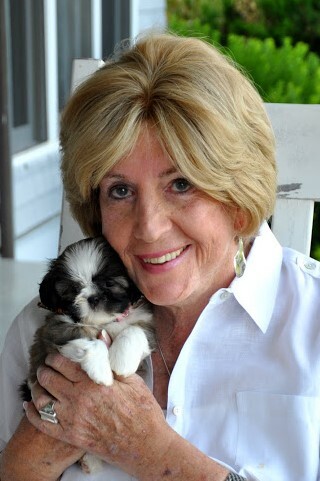 What a wonderful surprise and find! “The Black Powder Inn,” located at the intersection of Route 202 and Valley Forge Road (formerly Winberie’s) was charged up with electricity and happy, delighted dining clients. We found it to be a most relaxed setting, yet filled with so much history. 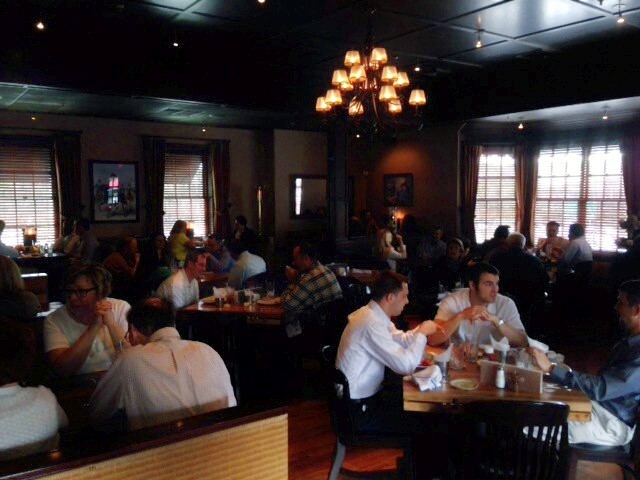 Two dining rooms, one by the bar and another in the rear, were totally packed. 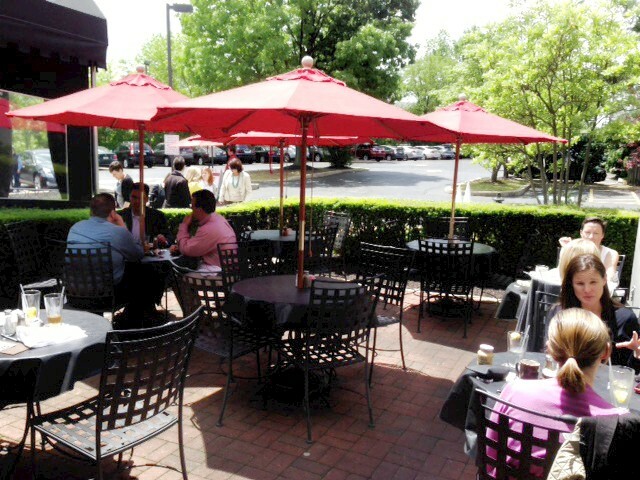 Also, the Black Inn Tavern has an outdoor seating area. Dining inside, by the bar. Numerous paintings of George Washington and his men are scattered throughout the entire restaurant. I went into the Ladies Room and lo and behold, there was a framed print, containing signatures from the Signer’s of The Declaration of Independence. My smile practically dripped off my face, as I saw my 7th Great Grandfather’s signature, William Ellery of Rhode Island at the bottom! How cool is that? Service was excellent. We had three people checking in on us at all times, including the maitre d’. I had Grille Maui Maui, topped with a huge grilled Pineapple slice, Long Grain Rice and mixed vegetables (yellow and green Squash, Onions, Red Peppers, and Green Beans) all cooked to crispy and delicious perfection. 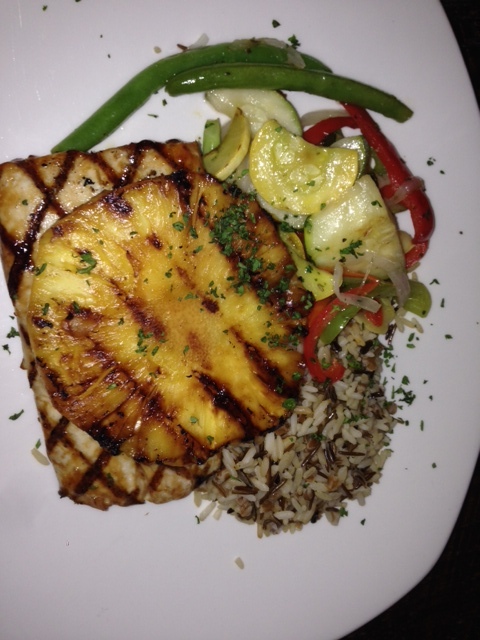 Maui Maui with Long Grain Rice and Grilled Pineapple and Vegetables. Claire had the Grilled Chicken Salad. It was so big that she couldn’t eat it all, even with me helping her! 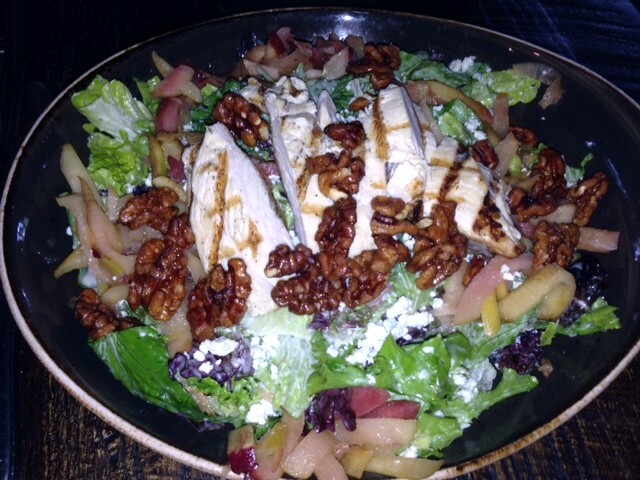 It was mixed with a delicious Vinaigrette, Blue Cheese, and candied Pecans. There was absolutely no room for desert, although I’m sure it would have wowed us as well. One of the funniest things that we, as Realtor’s, always joke about is that the main decision of the day is “Where to eat?” it really is a joke amongst Realtors! If you want to be casual, see bits of history and eat tremendously good American Fare, then this is the place to go! We highly recommend it, based on price, service and of course, great food that is fresh and very pleasing.